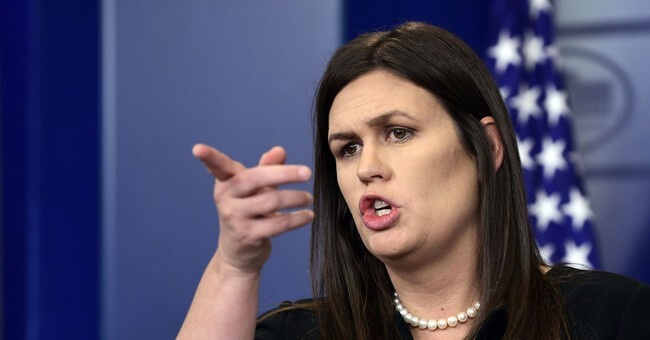 Speaking to reporters in the White House briefing room Thursday, Press Secretary Sarah Sanders defended President Trump's remarks about MS-13 gang members being "animals." During a roundtable event with local officials fighting sanctuary cities at the White House Wednesday, President Trump referred to MS-13 gang members as animals during an exchange with a sheriff. The media and Democrats accused him of calling all illegal immigrants animals. After reviewing the context, the Associated Press released a correction late Thursday morning. President Trump addressed the issue again Thursday afternoon. "I'm referring and you know I'm referring to the MS-13 gangs that are coming in. I was talking about the MS-13. And if you look a little bit further on in the tape you'll see that. So I'm actually surprised that you're asking this question 'cause most people got it right," Trump said according to the White House pool report. "MS-13, these are animals. We need strong immigration laws. We have laws that are laughed at on immigration. So when the MS-13 comes in, when the other gang members come into our country, I refer to them as animals and guess what, I always will."